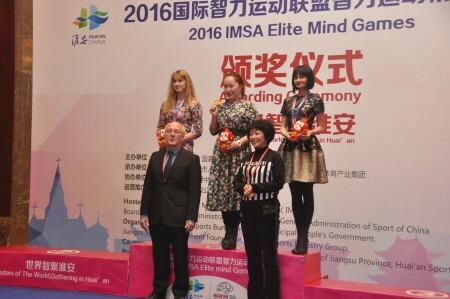 The opening ceremony of the first IMSA Elite Mind Games in Huai’an, Jiangsu Province, China was a spectacle, witnessed by a crowd of mindsports athletes, officials and guests from all over the world. 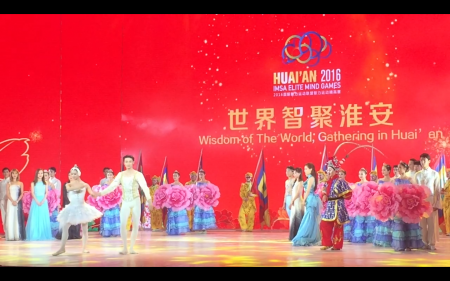 Strong performances in music and dance accompanied by matching video presentations made for an unforgettable experience. 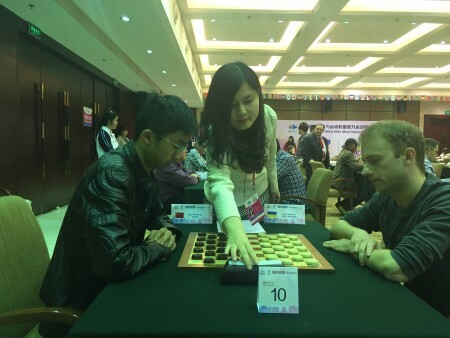 Today at 13:00 local time, the first round of the rapid event kicks off. 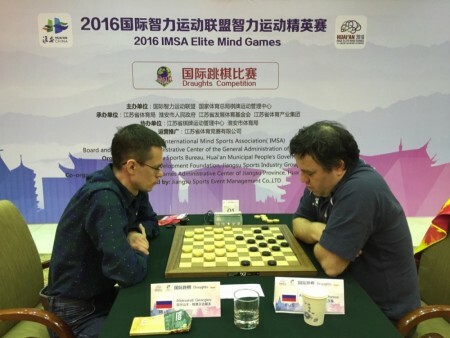 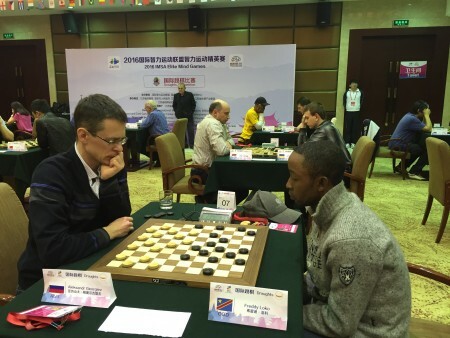 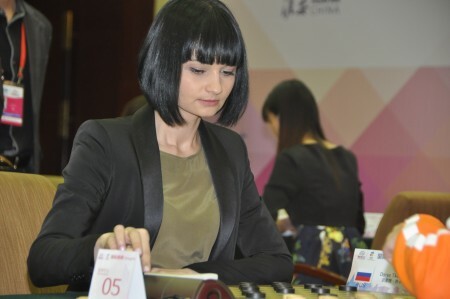 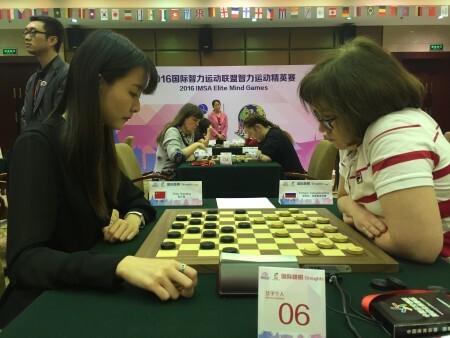 The inaugural IMSA Elite Mind Games (IEMG) will be held February 25 to March 3, 2016, in Huai’an City, Jiangsu Province, China. 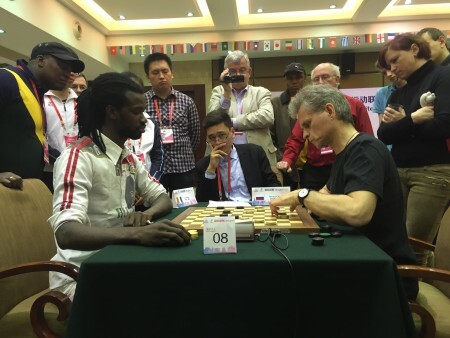 All five members of IMSA will be featured: Bridge, Chess, Draughts, Go, and Xiangqi.